Verifica que la depuración USB esté deshabilitada. 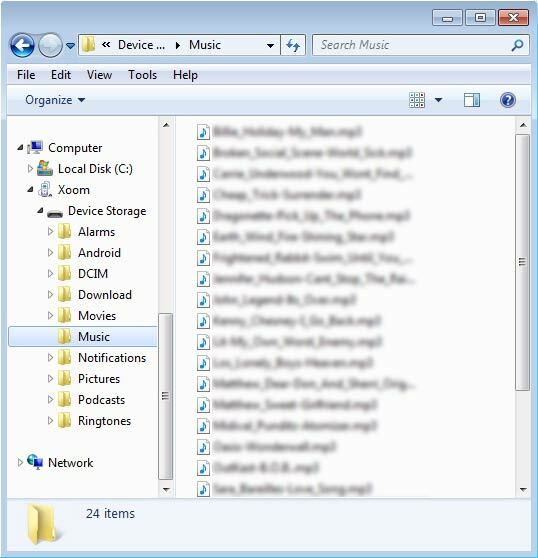 From File Explorer / Finder on the computer, locate the SCH-I905 music folder (SCH-I905 > Tablet > Music) or the computer music folder. Use the computer to copy music and other audio files into the appropriate Music folder.